Brad Jan » Rumorfix.com – Fire At Pump- Exclusive Details! Rumorfix.com – Fire At Pump- Exclusive Details! 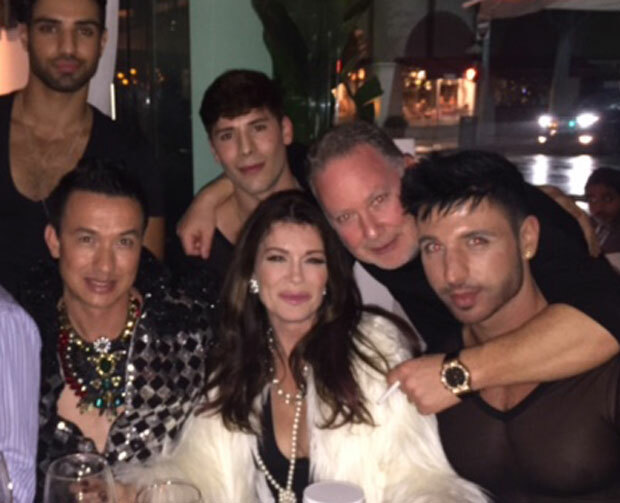 Lisa Vanderpump’s celebrity packed hot spot restaurant, Pump, erupted in flames again this weekend for the second time in the same month! Fire At Pump- Exclusive Details! Get The Scoop! Reports claimed the fire occurred inside the walls of the famed restaurant and was the result of electrical issues. RumorFix caught up with interior designer to the stars, Bobby Trendy, as he dished on the fire at the trendy West Hollywood establishment, and how Lisa Vanderpump and Ken were nothing short of professional and accommodating despite the scary situation at their business. “They haven’t served food at Pump since Friday. My Table for 20 was moved to Villa Blanca,” trendy dished on the fire. “Pump moved my table to Villa Blanca and we still had a great time. Ken and Lisa greeted us with open arms, I felt like I was at home, that’s why we come here,” trendy continued. Trendy was at Villa with his entourage celebrating the new Brad jan line of cologne and fitness products that he is endorsing. If there is one thing we know about Lisa, it’s that she will never leave her customers feeling uncared for! Hopefully the fire situation gets cleared up at Pump! Summer is right around the corner and the Hollywood hotspot will surely be bursting at the seams!